The Xpress Blinds and Interiors Blog: BBC DIY SOS Littlehampton! Xpress Blinds has just supplied more blinds for the BBC DIY SOS team. They are filming the latest episode in Littlehampton and designer Julia Kendell required 4 Sunwood Canadian Maple wood blinds with Jet cotton tapes in a hurry. 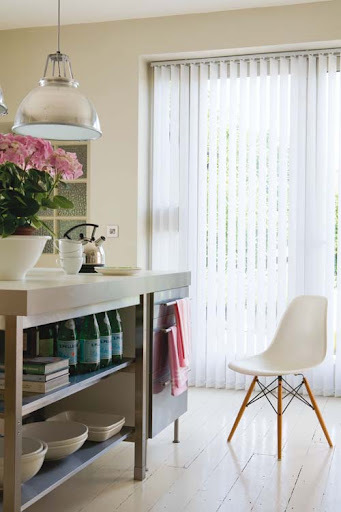 We also supplied a large white Alpha 89mm vertical blind.